If you aren’t familiar with my unorthodox wave counting method, there is a simple explanation at the beginning of the glossary. The glossary also contains lots of other details (explanations) that don’t appear in the blog. 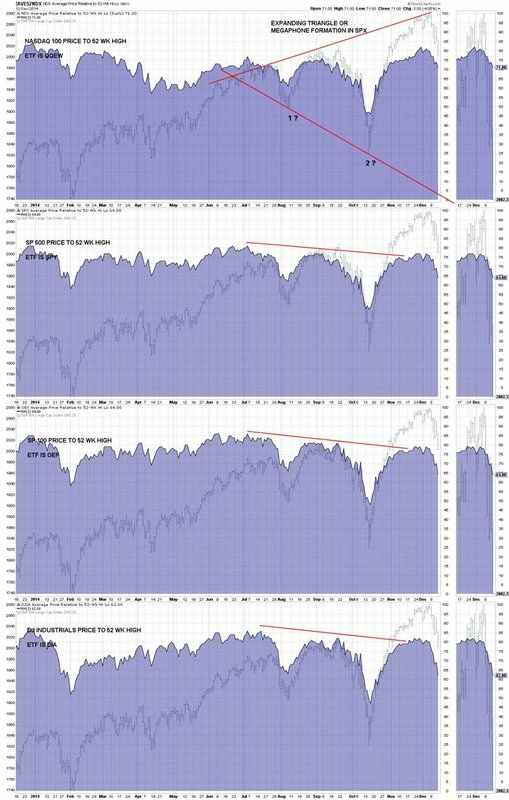 My charts consist of various indicators and index charts (short to long term), but the theme is concentrated on the items that Paul Desmond warned about in his paper, “The Warning Signs Of Major Market Tops”, which you can find at the link below. Please follow MY CHARTS if you’re a StockCharts subscriber so I’m not relegated to the dung heap of nobody is interested in my crap. You only have to follow once. You click the blue icon seen in the upper right of each page that says “Follow”. After you’ve clicked once, the blue icon should change to “Unfollow”. Leave it so it says “Unfollow”. A lot of visitors to my blog are looking for information on T-Theory ®. The below link will take you to the index of all of Terry Laundry’s comments during the period Dec 2003 to June 2011. There is a considerable amount of charts and audio material from Terry Laundry in this section. If you haven’t been following my Tweets, take a look at what you’ve missed. I’m not updating the blog anymore because it’s takes too much time to write, so I Tweet short messages instead. I hope the charts come through on this blog update. They probably will because Twitter is hosting them and I see them on the blog “Preview”. Technical Analysis Investing & Trading Futures are presently near a Fibonacci retracement of 62%. We’ll see if that holds. Technical Analysis Investing & Trading Only 2 obvious steps up today, but I will call the step complete for now. Next up is . . .
#StockMarket #Stocks #Investing #Trading Today’s rally didn’t break downtrend channel from it’s recent peak. 2 steps up from today’s low. #StockMarket #Stocks #Investing #Trading GDP revision tomorrow, was reported 5.0% in 4th quarter, consensus says it’s revised down to 3.2%? 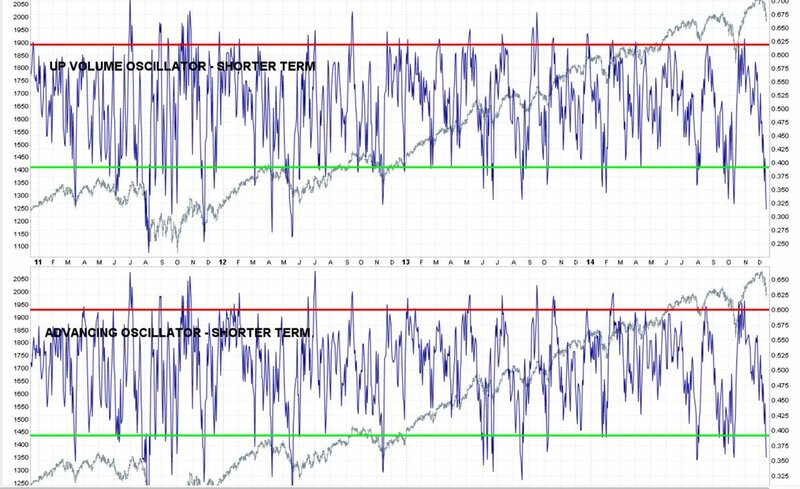 #StockMarket #Stocks #Investing #Trading I have called no peaks/tops on Twitter, because I am waiting for an important top to complete. 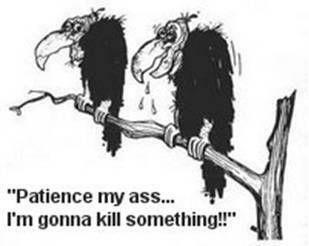 #StockMarket #Stocks #Investing #Trading Have an appointment, gotta go for now. Stops are in for me. #StockMarket #Stocks #Investing #Trading Thinking step 4 down was decline after step 1 up. In step 2 up presently. Job report was leaked?? #StockMarket #Stocks #Investing #Trading 69% of Apple’s profit is from iPhone. Apple has turned into a one product company. Dangerous?? 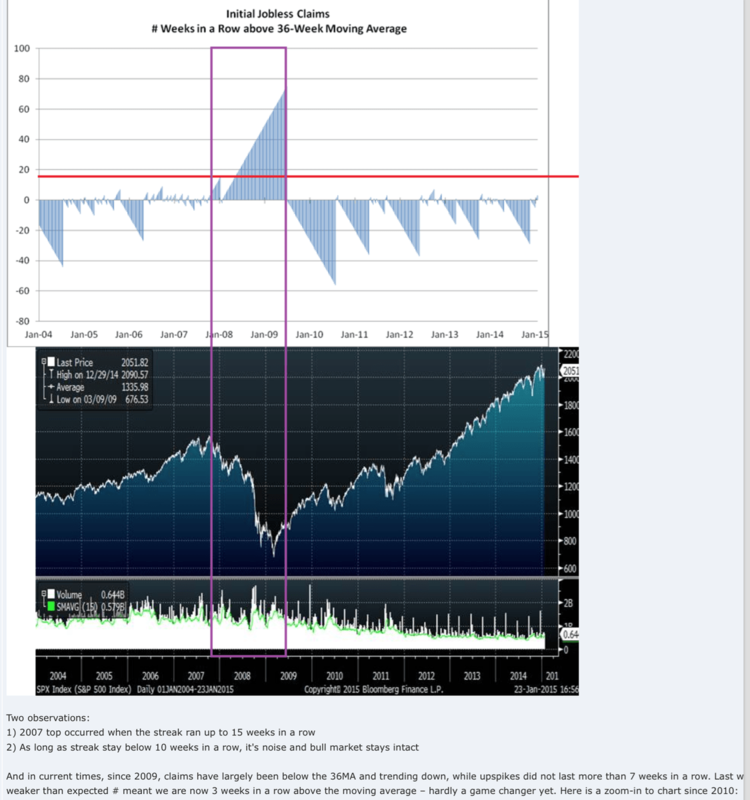 @Stock_Trend_Chg: #StockMarket #Stocks #Investing #Trading #Futuresare set to rally if jobs report is good, or decline into 5th step down. #StockMarket #Stocks #Investing #Trading Duhhhhhh . 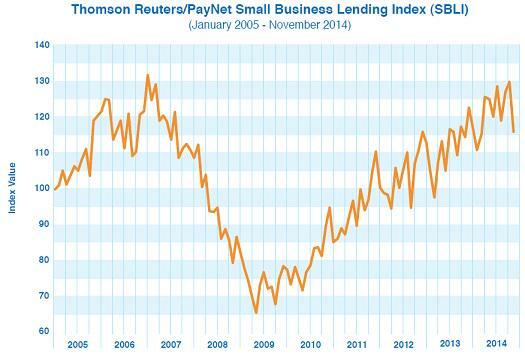 . . why do we have such absurdly low long term interest rates? 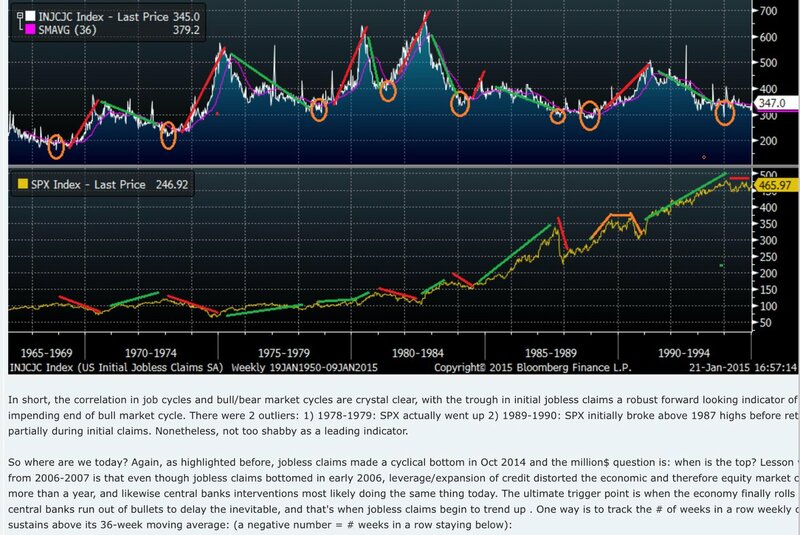 Because deflation lurks. #StockMarket #Stocks #Investing #Trading FED previously described the commodity price drop as “transitory”. Apparently, not anymore. 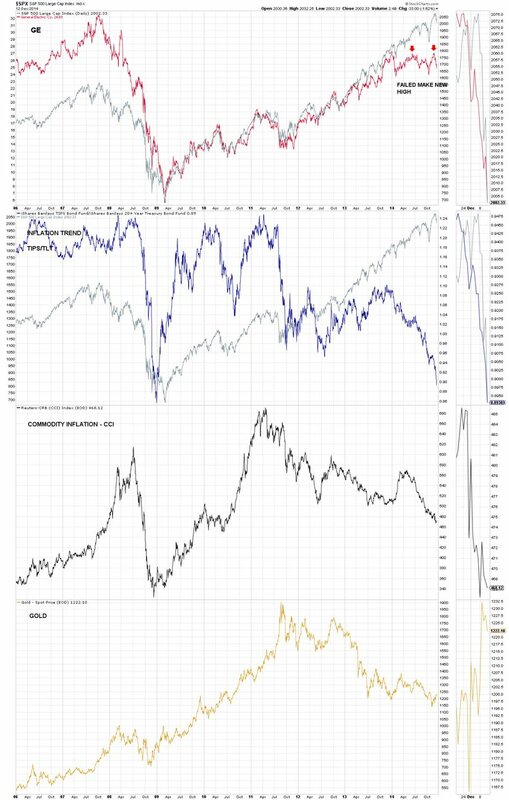 #StockMarket #Stocks #Investing #Trading Finally someone is talking about deflation, namely the FED, saying inflation is too low. #StockMarket #Stocks #Investing #Trading We didn’t break the diamond formation that I showed yesterday on this morning’s down thrust. 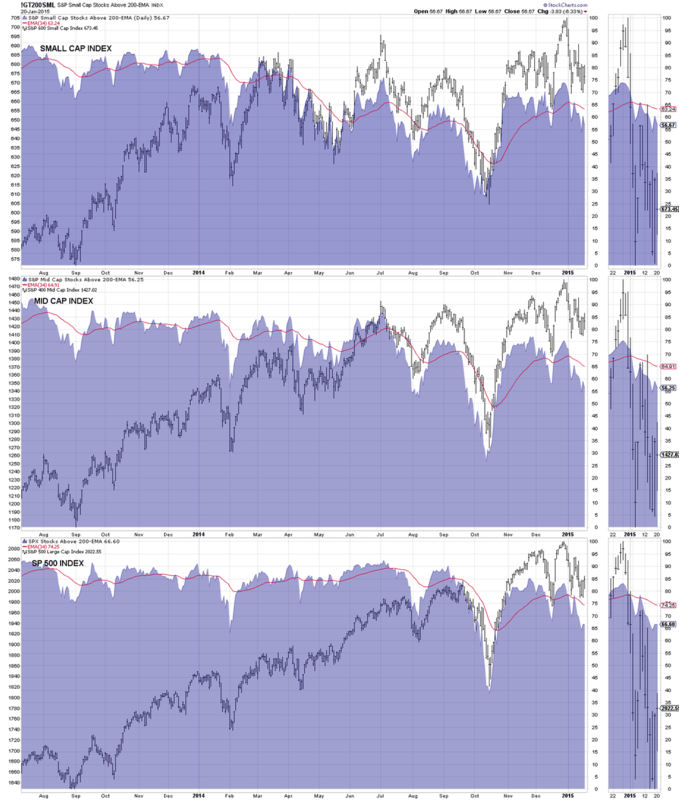 #StockMarket #Stocks #Investing But watch out for that double bottom in the #SP500. Stay alert as usual. I may not be connected to the market for the rest of the week. It’s kinda iffy. If I post, great & if not . . . curses . . . foiled again. 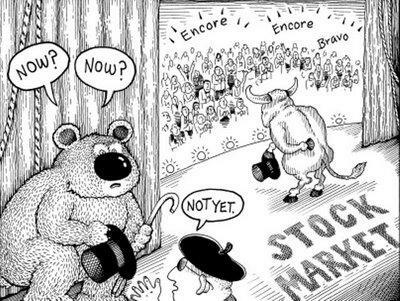 #StockMarket #Stocks #Investing Hmmmm. 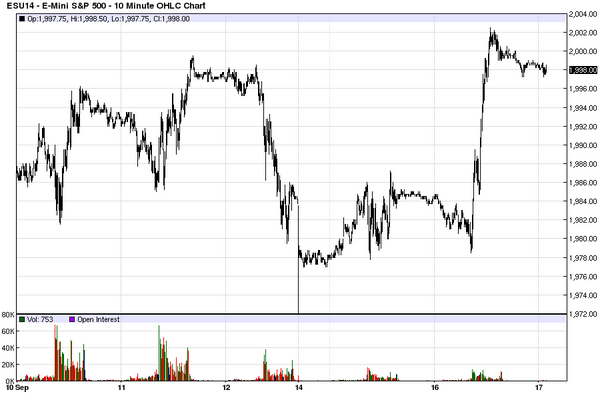 ES contract was down 44 points in 4 hours (top to bottom). 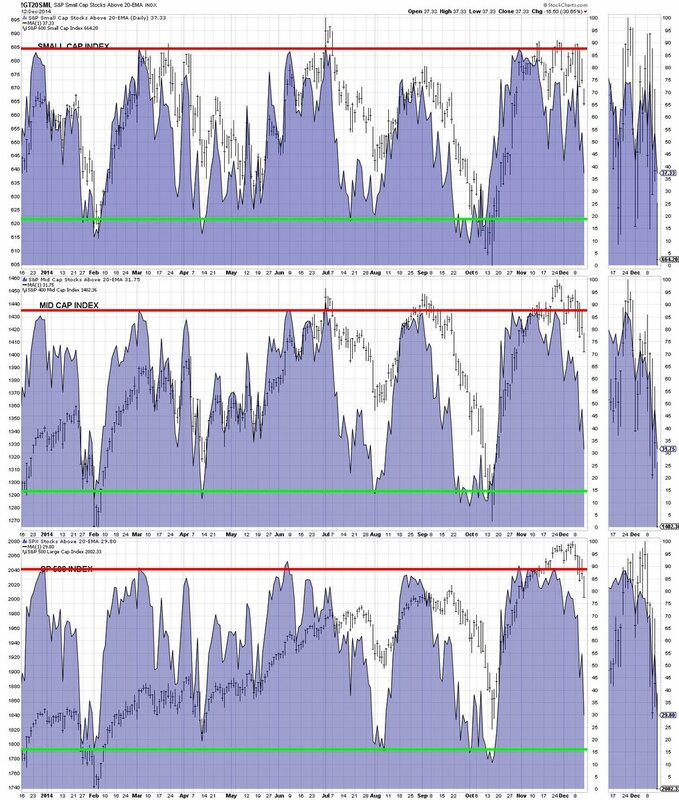 #StockMarket #Stocks #Investing Market is sub-dividing to downside. Need to re-evaluate count, but presently not connected to market feed. 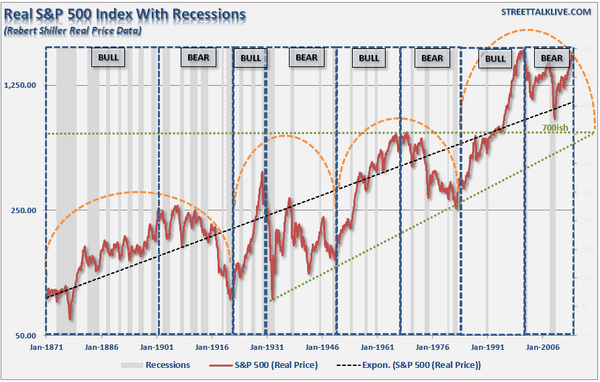 #StockMarket #Stocks #Investing Seasonality: Next week has not been up for over 20 years. – #MikeBurke That says it all except how much??? Only way to eliminate shale oil is keep prices permanently low. That’s a steep price for OPEC to pay to get rid of shale oil. 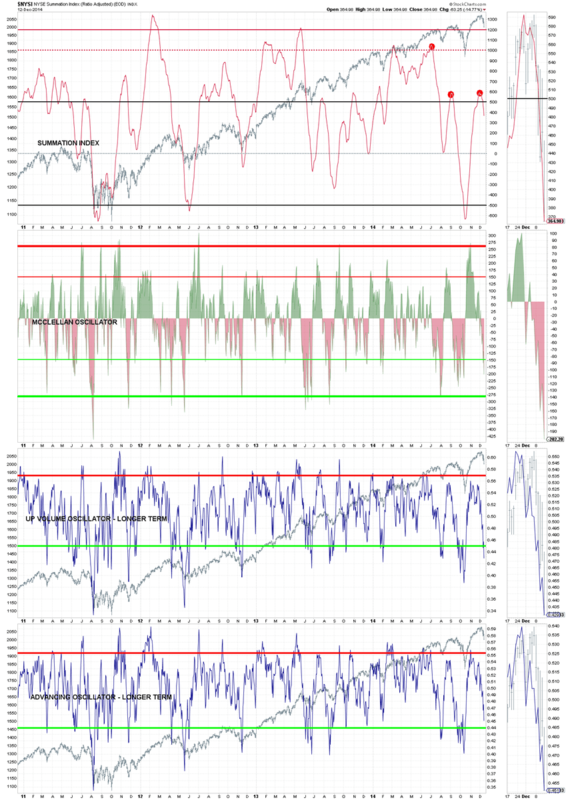 #StockMarket #Investors 22 hours ago on Tuesday 1/6/15 I nailed another stock market low. Did the same on Dec 16th too. 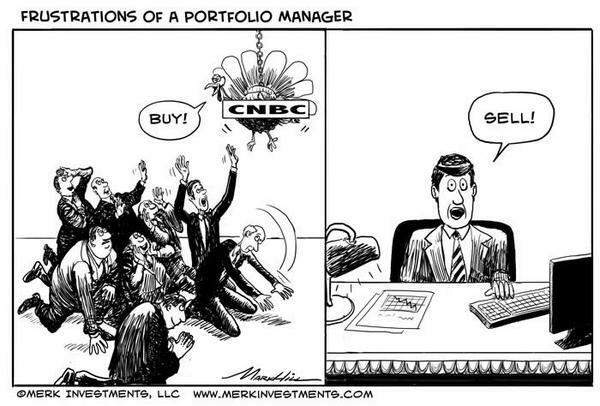 Pay attention to market. Right now I’m looking for higher highs and higher lows because I think we’re going to rally. 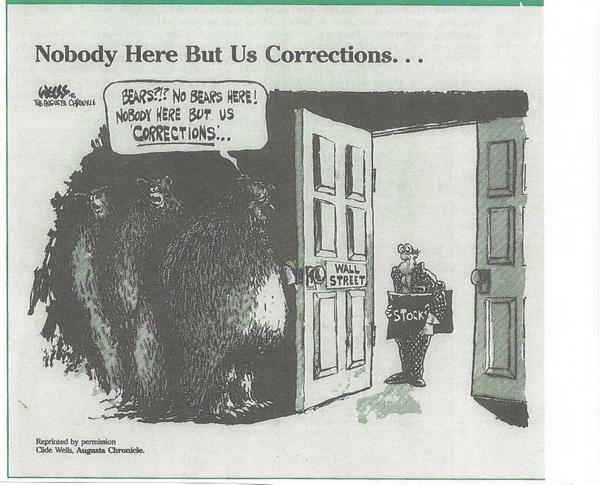 #StockMarket #Investors Yesterday I said: “Finished last step down . . . it’s rally time” I couldn’t have been more wrong. Did you see #investors taking #profits that aren’t #taxable until 2015? I saw a lot of that today. Next up, is the #decline over??? 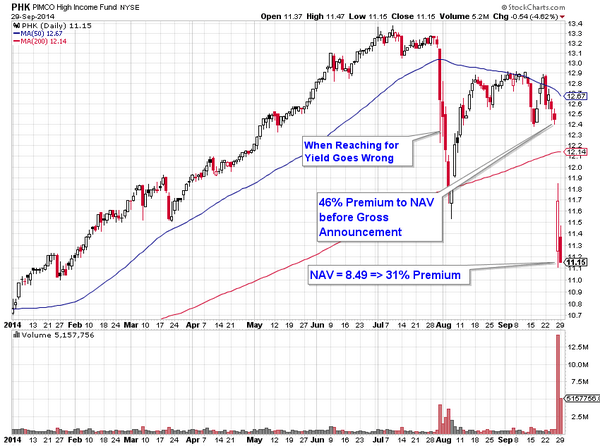 Jeff Saut is growing cautious looking for a 1st quarter #correction in the #StockMarket. That viewpoint seems legitimate to me too. 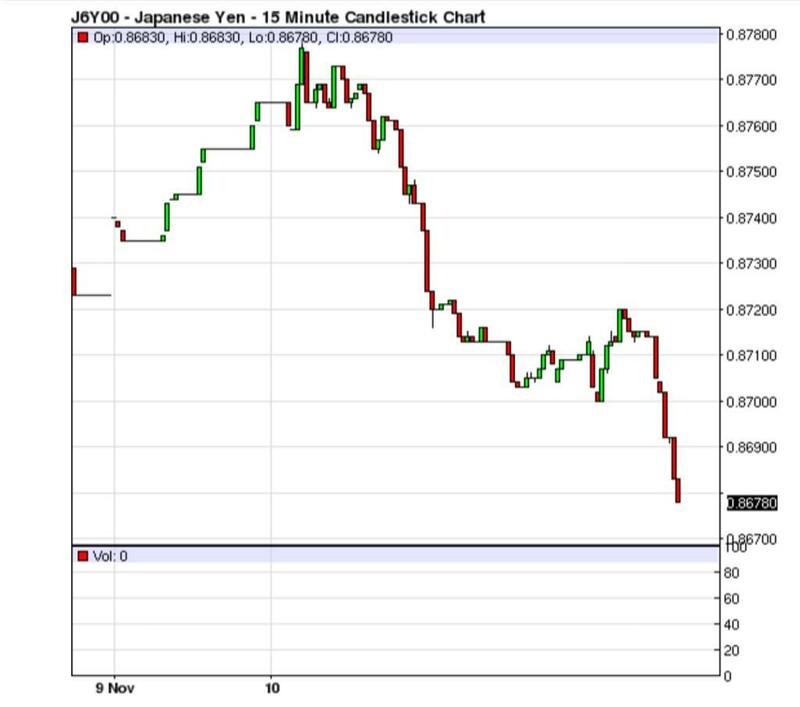 Bookmark the link for the #yen seen below. 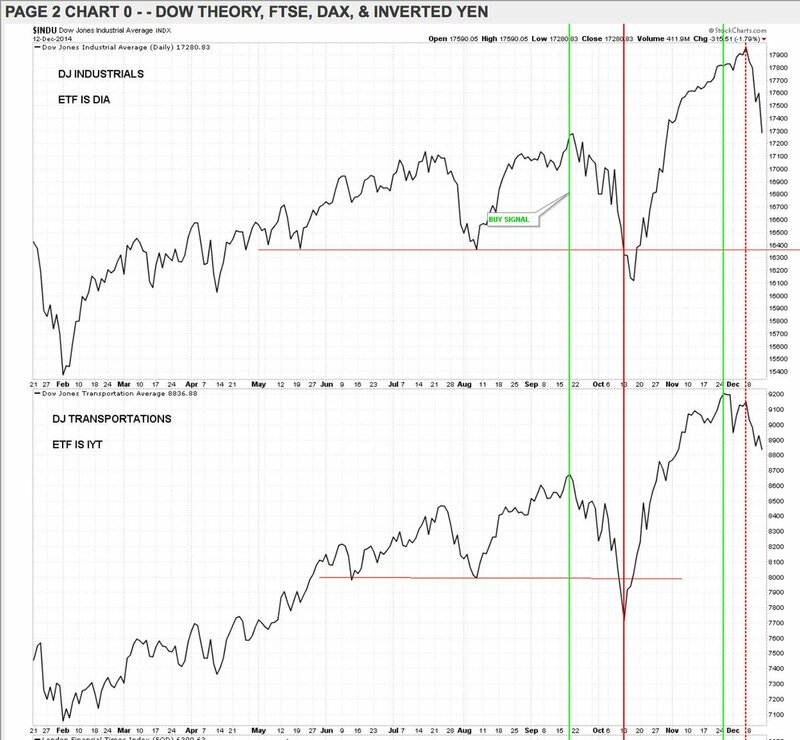 Us this link to watch movement of the yen. 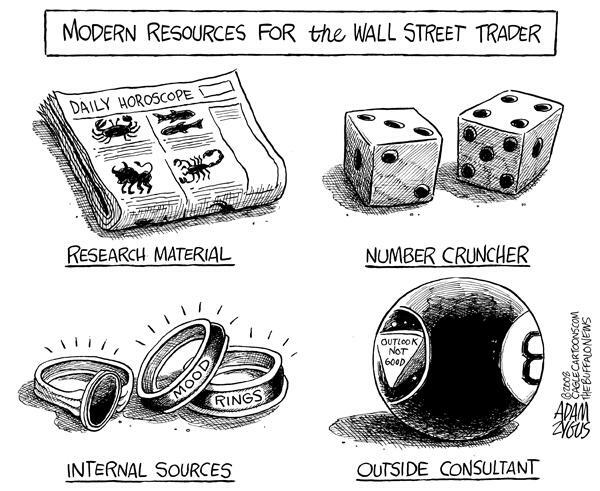 It’s a great reference for our #StockMarket. Likely be a continuation of uptrend for most of this week. 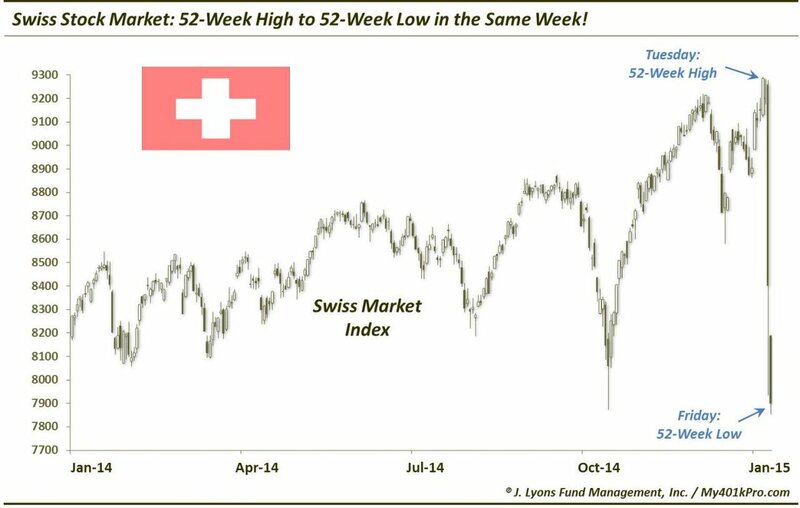 Beginning the following week, there “might” be a small decline. More later. Since there is not much to report on recently, I’ve been working on an automated method of trading. Something I have NEVER done before. 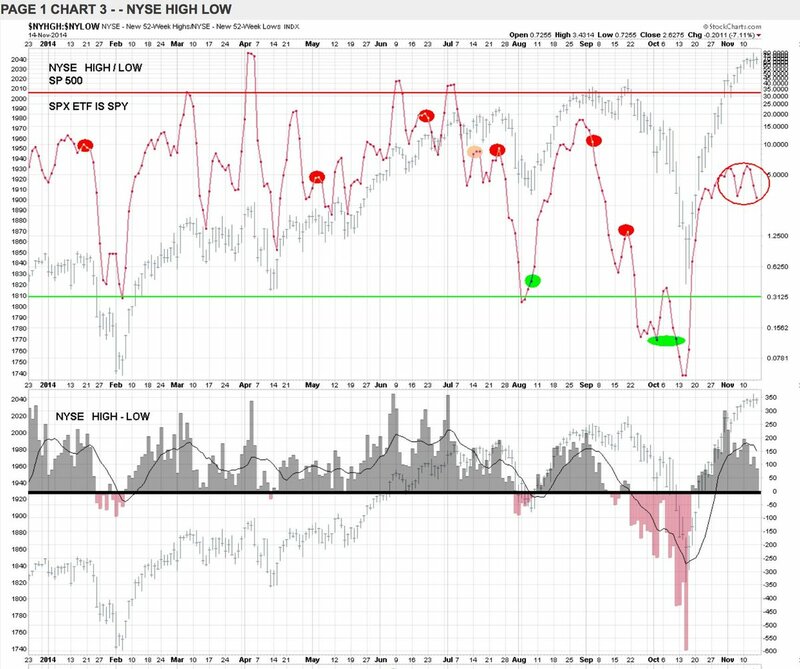 Happy Holidays There is no change in the outlook since the bottom signaled on Dec 16th. 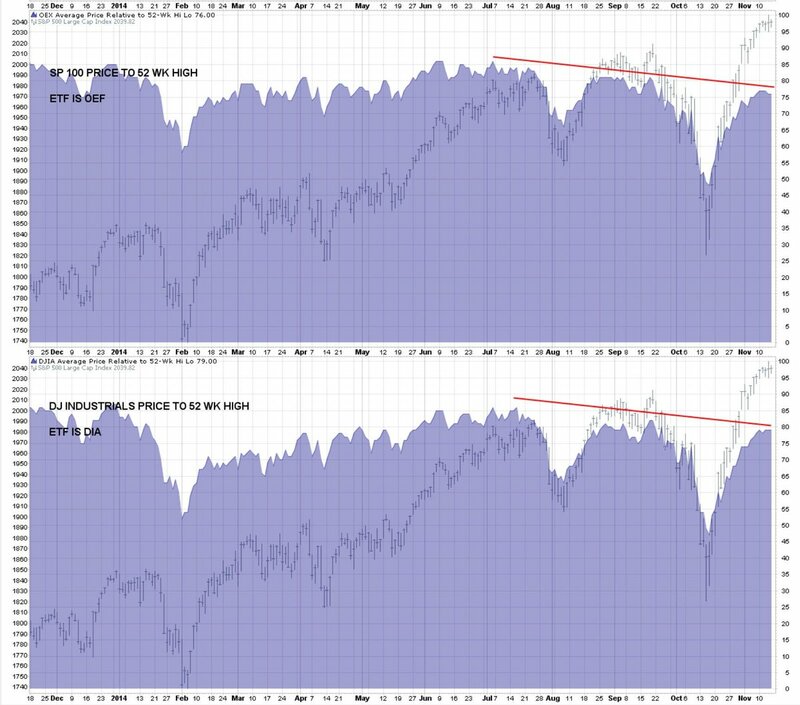 The surprising result is the speed of the uptrend. No one likes information overload because it confuses the reader. If I don’t post it’s because nothing has changed, or I kicked the bucket. $SPY hasn’t had back-to-back gains of 1.95% since March 2009. Could happen today. 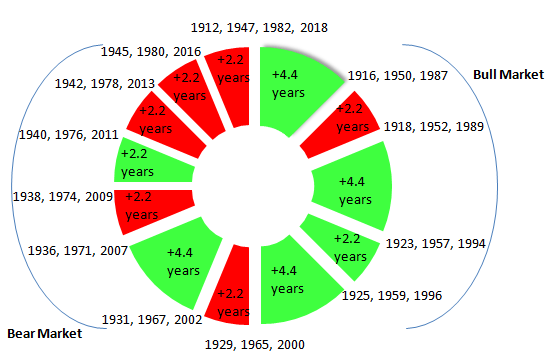 Yesterday, I tweeted “We should have completed the present step down in the #StockMarket“. 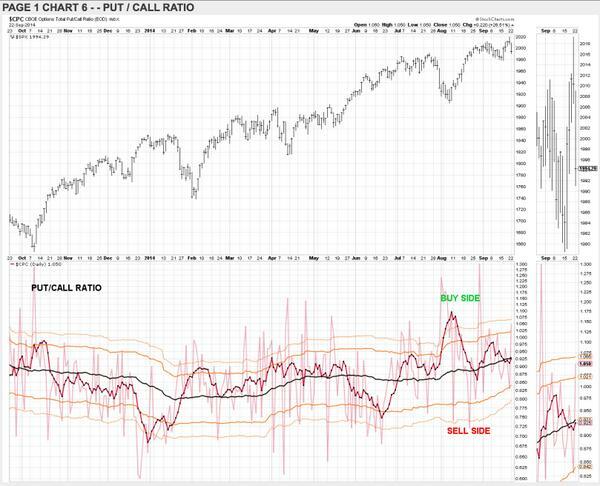 Market #DoubleBottom after that & rallied again. 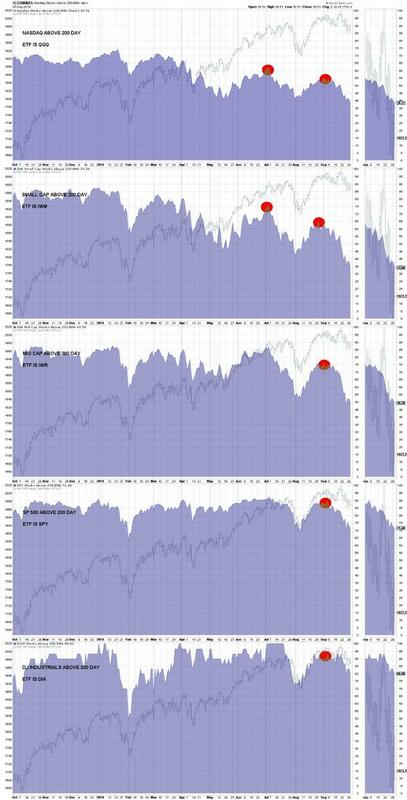 Presently, most of the indexes are trying to make new lows. 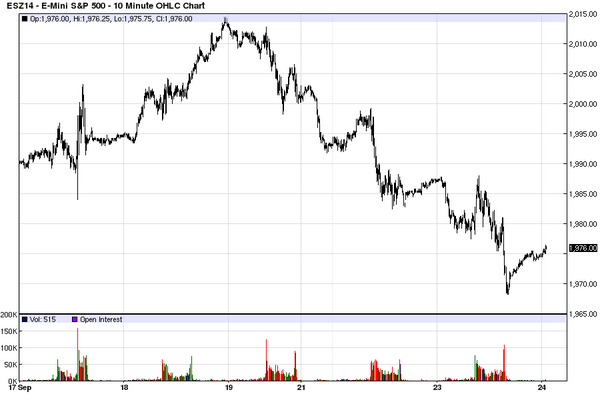 We’ll see if they thrust downward or wander around near this morning’s low. 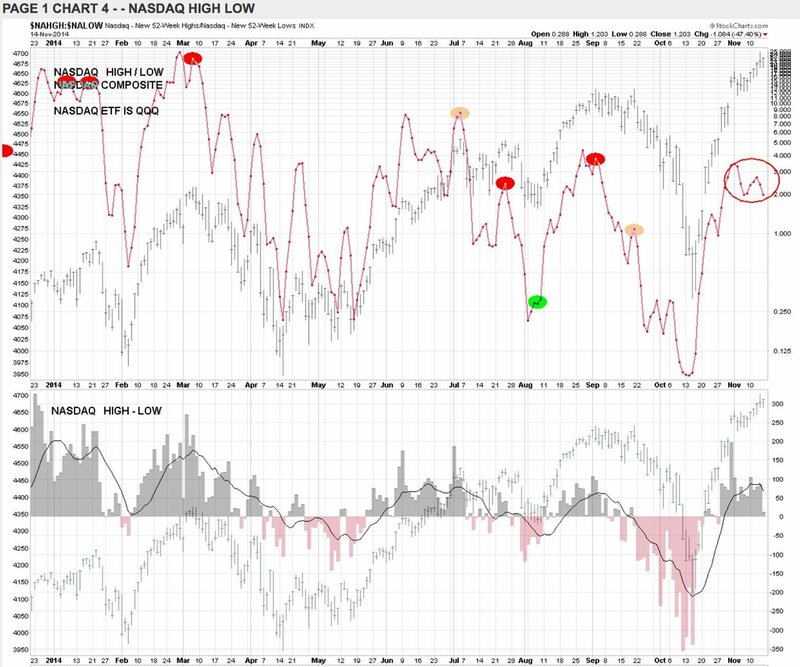 Jeff Saut #JeffSaut believes that we will make a #trading #bottom this week, which will set up the Santa Claus #rally. Today the #London #FTSE index made a lower low (#LowerLow) below the October low. #Oil prices plunging, #investors are worried #oil #debt issuers can’t meet obligations, predicts #default rate will double to 8% next year. The #ruble tumbled to a record low for 2nd day, #Russia’s #CentralBankintervened to slow the rout for an economy verging on recession. 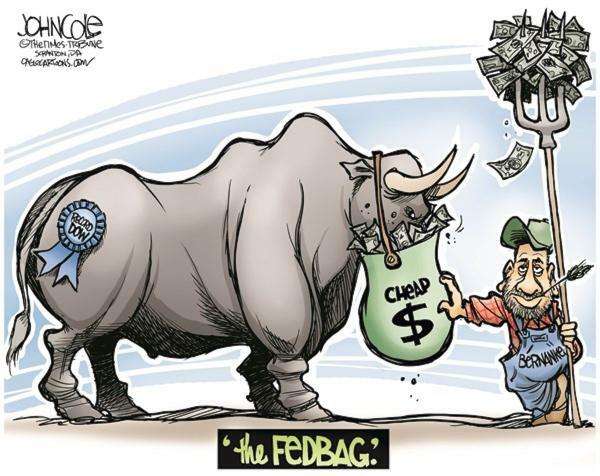 The #FED gets very uneasy when #inflation drops below 1%. We could be seeing below 1% figures in the months ahead. FED should become more dovish after oil prices plunged in recent weeks. U.S. is NOT moving in the direction of its 2% inflation target. US oil drillers idled the most rigs in two years as they face oil trading below $60 a barrel & escalating competition from suppliers abroad. While the U.S. economy is in much stronger shape than foreign economies, it isn’t immune from foreign stock trends. IEA cut its forecast for global oil demand for 5th time in 6 months. It attributed lack of demand to weakening global economic conditions. Other central banks are beginning to throw money at their economies. See a trend yet??? As long as prices don’t decline, there’s no problem. 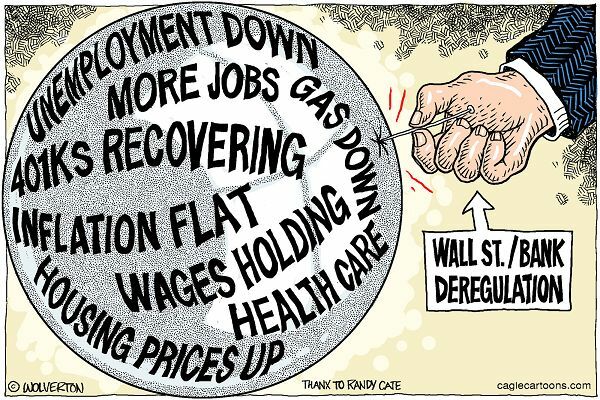 The deflation cure is to throw lotsa money at the problem. One hiccup, the US and Japan have been throwing lotsa money for some time. Central banks like a “little” inflation, but when faced with a hint of deflation, they get frightened. 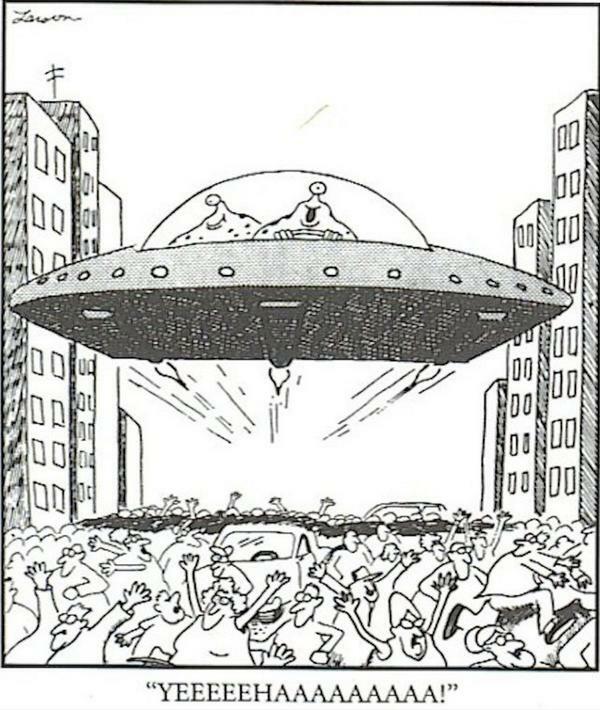 The solution to deflation is to . 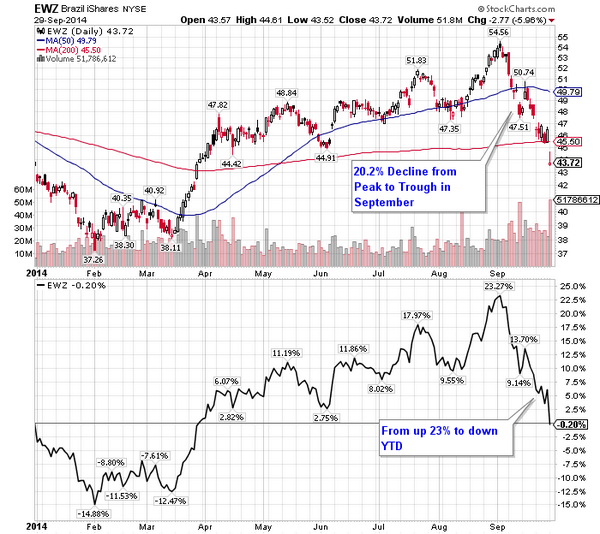 . .
It’s the out of control decline in oil that has me unsettled. I don’t like looking a gift horse in the mouth, but there could be problems. 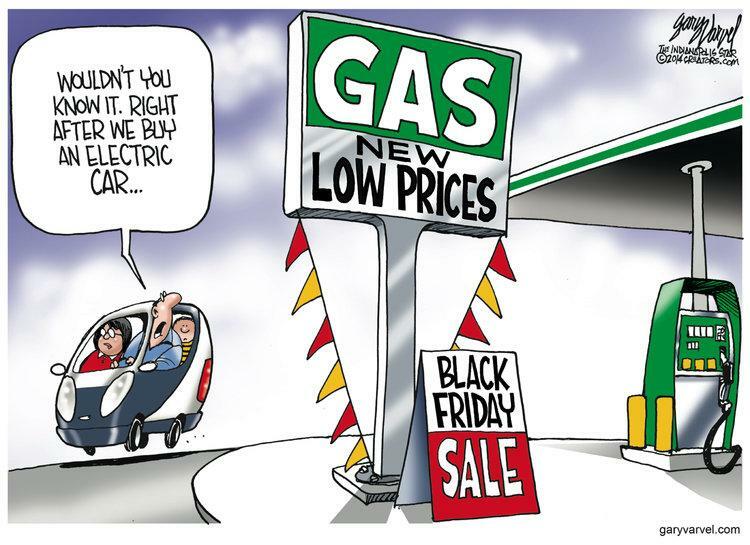 Lower oil prices is like a tax cut to the consumer and they should spend more money and create a good Christmas season for business. I’m a technician and this is a fundamental problem (??) Oil has an impact on most products. Lower oil prices translates into higher profits. Crude could fall to as low as $40 a barrel amid a price war or if divisions emerge in OPEC, said an official at Iran’s oil ministry. 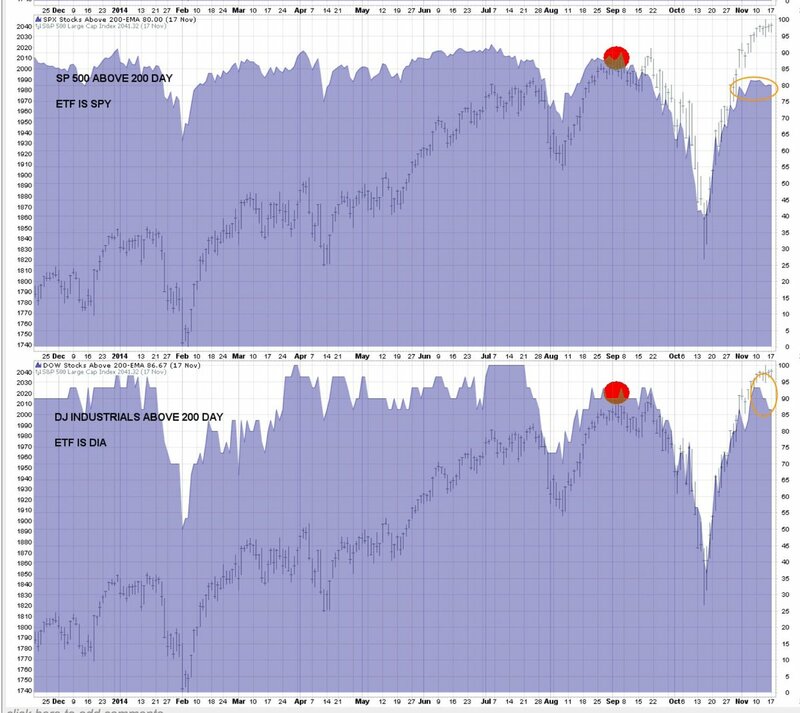 High levels of new lows, relatively high levels of new highs has triggered a Hindenburg Omen for the past 6 consecutive trading sessions. 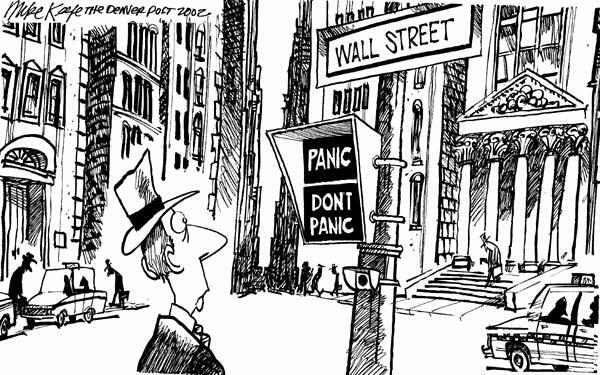 If shoppers don’t turn out for Christmas & after Xmas sales, then Wall St can have a heart attack. Gift cards don’t count in sales figures. 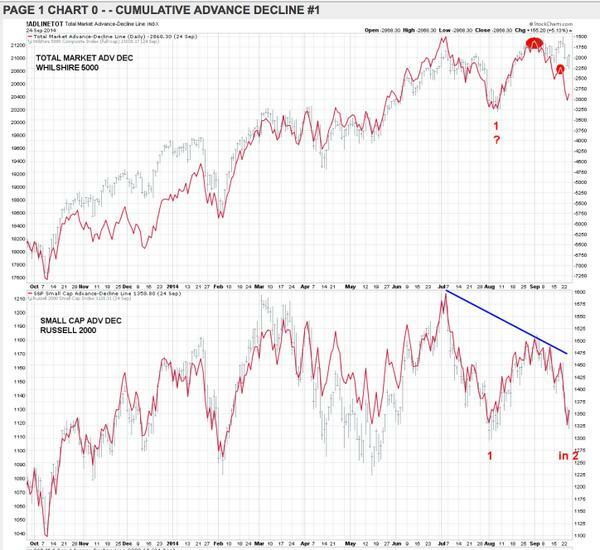 Looking at charts in last tweet, waiting to see lower lows in small caps to signal something significant is happening (probable). My public chart link on StockCharts is: stockcharts.com/public/1169350/There are some interesting charts at this link that should be followed. 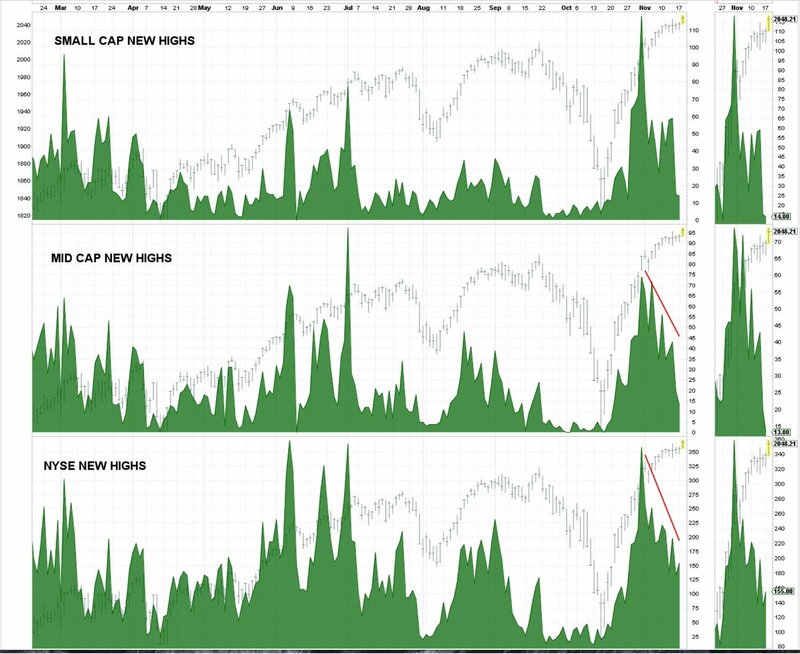 When the small caps show a significant higher high above the 11/13/14 peak, it will signal step 2 up from the Oct bottom. A strong dollar creates low inflation, but does that carry over to 30 YEAR RATES, which were declining long before the dollar was strong??? After WWII we had low long term interest rates. 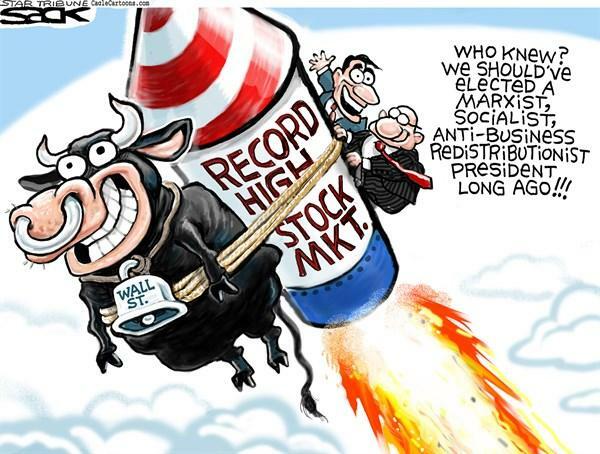 This created economic growth & stocks that went up for decades. 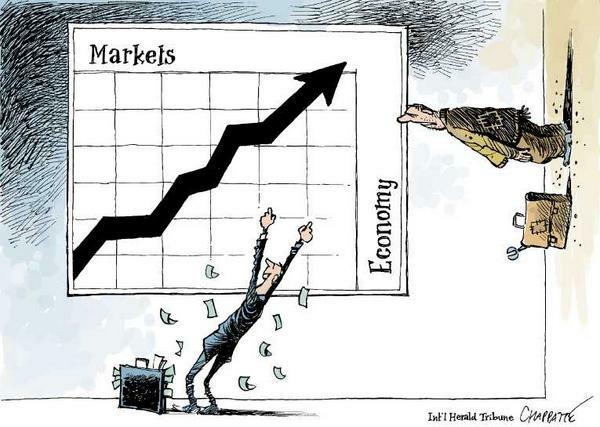 Future deflation or growth?? 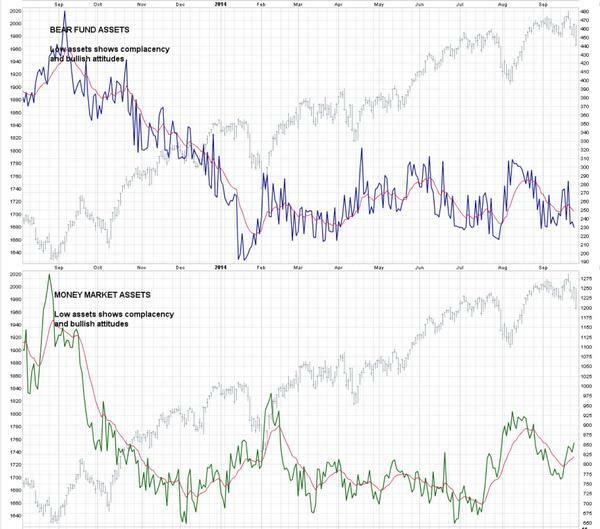 The long term cost of money indicates that historically something unusual is going to take place. What is it & when does it take place??? 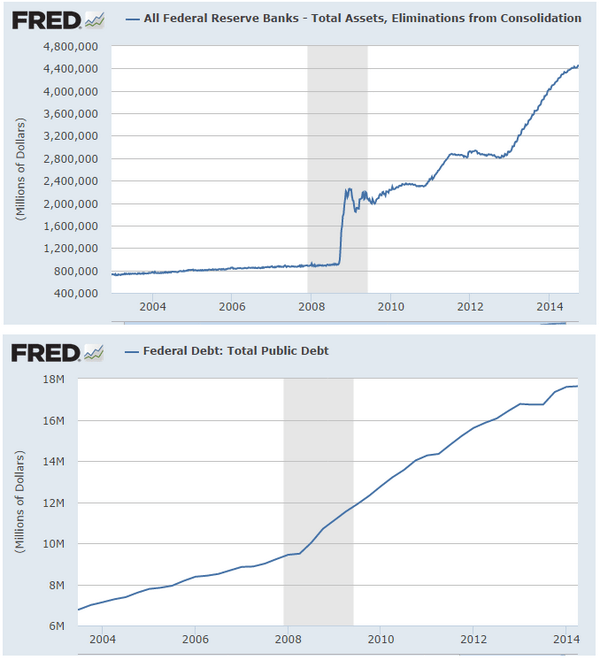 Would you loan money to the Treasury for 30 years @ 3% – NO. 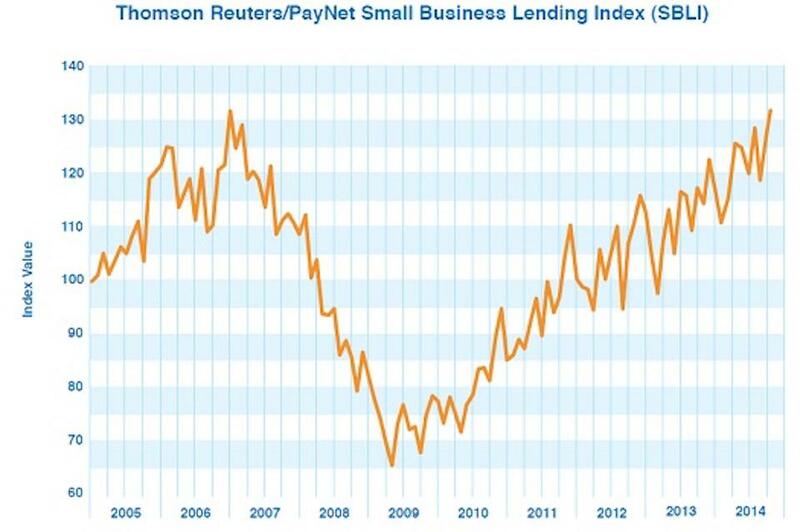 But if you thought deflation was going to take place, you would loan the money. THE PRIOR TWEET SHOWS THERE ARE NO INFLATION EXPECTATIONS OVER THE NEXT 10 YEARS. The 2.32% yield on 10-year Treasuries compares with 0.80% on 10-year German Bunds & 0.50% on 10-year Japanese government bonds. I’m cutting down the number of charts that I have in Sierra Charts. 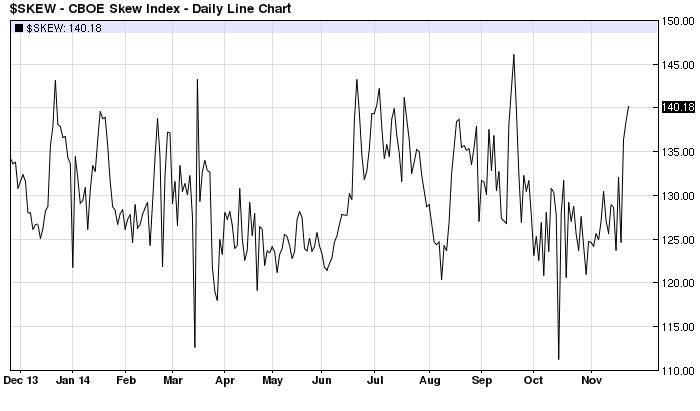 If I don’t have the time to look at each chart every day, it’s junk. 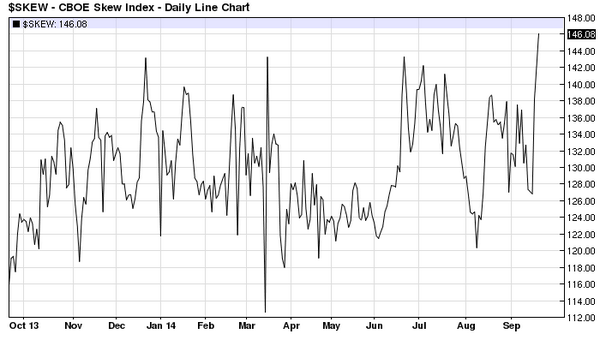 Carry trade is like shorting the yen. 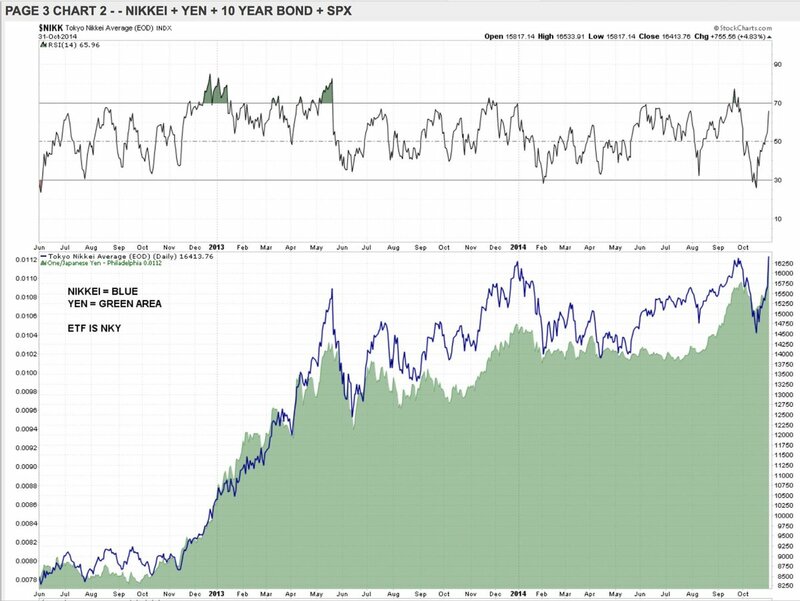 One way is to borrow the yen, trade the yen for another currency, & buy an asset in the 2nd currency. Large caps are pushing ahead and smaller caps are farther behind. 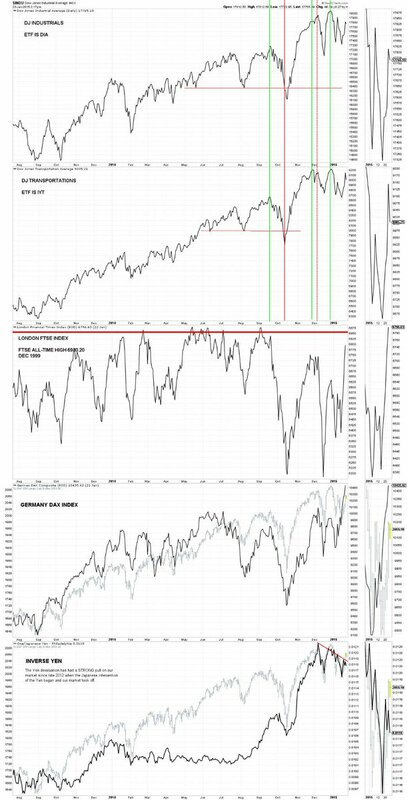 We’ll see if the market can breakout and make significant higher highs??? Our QE program has ended, but Japan’s QE still goes on with a recent boost upward on 10/31. 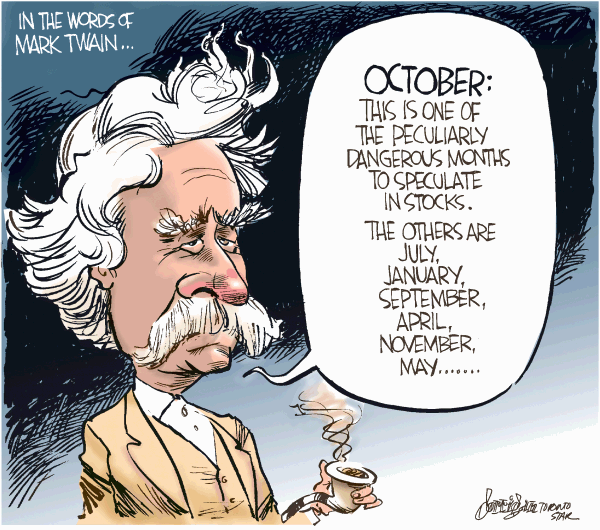 Maybe we will have a blowoff phase (lasting months) before we have a market correction. Money trumps EVERYTHING. Be Aware and Be Cautious – until you know otherwise. Headline: “U.S. Stocks Drop Amid Hong Kong Protests”. 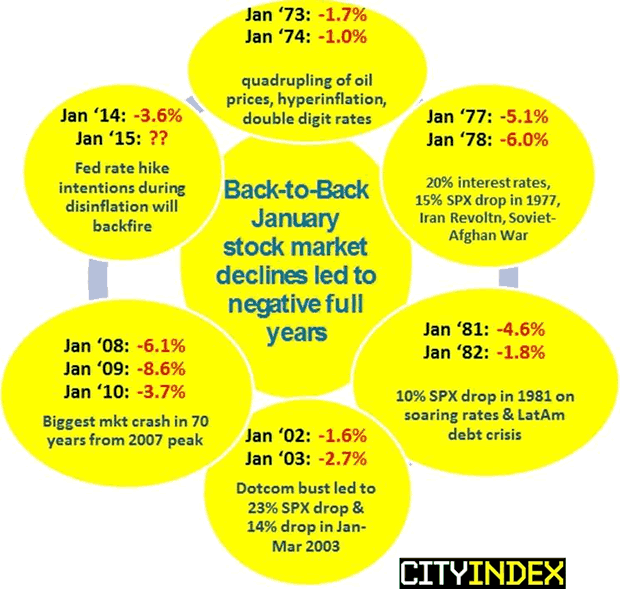 Why would the #stockmarket decline because of Hong Kong. Bad reasoning for headline. Senator Elizabeth Warren called for congressional hearings into allegations that the FED has been too deferential to the firms it regulates. 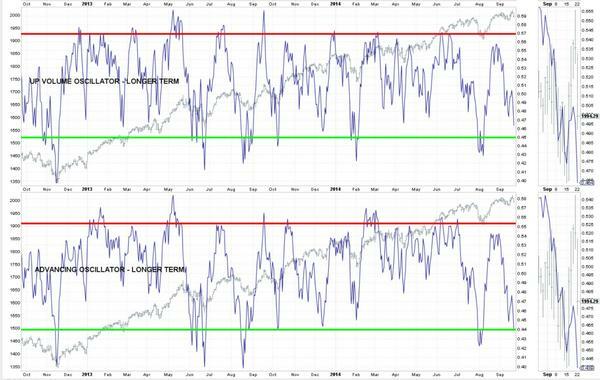 9/27/14 – Mike Burke Seasonally there is often a bottom after the 1st week of October. 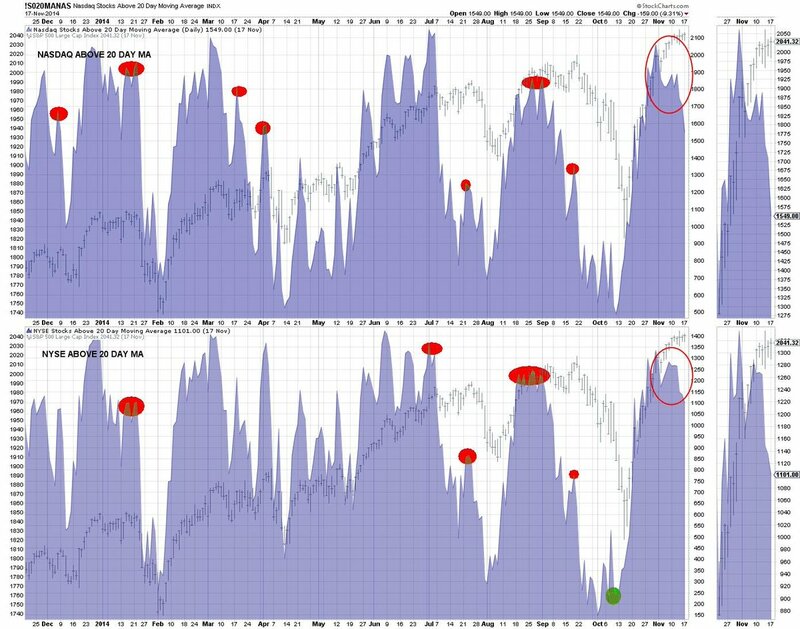 9/27/14 – Mike Burke New lows are all that matters When a bottom has been reached, new lows will diminish quickly No sign of that now. 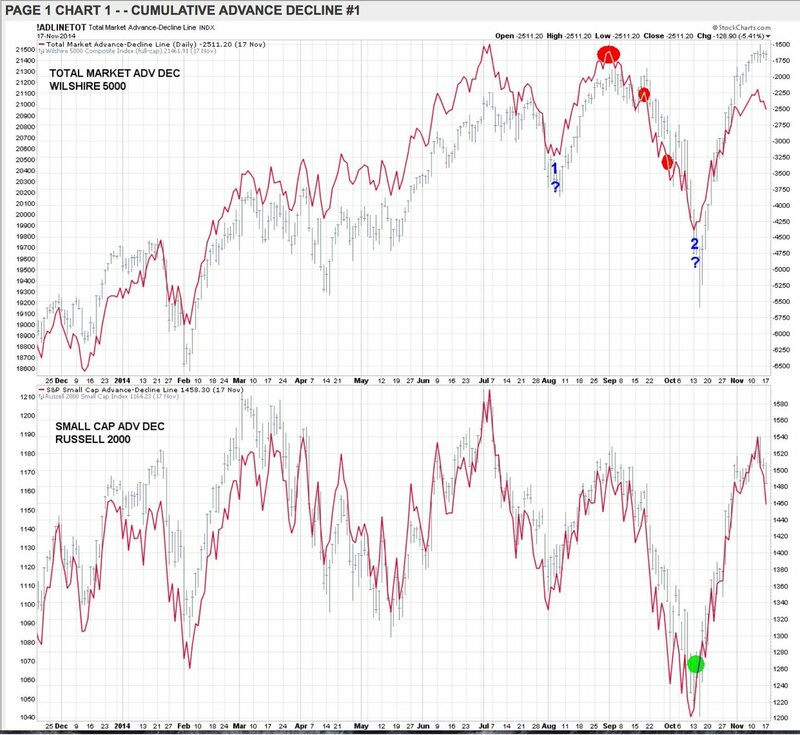 9/27/14 – Mike Burke For the past 40 years average returns for the coming week have been negative by all measures. Short sellers have a 12 million share position in Alibaba, a week after the company priced the world’s biggest-ever initial public offering. Goldman Sachs is changing a policy addressing conflicts of interest to bar investment bankers from trading individual stocks and bonds. Trend channel break will indicate that step 3 in larger step 3 (began in Oct 2011) is finished. 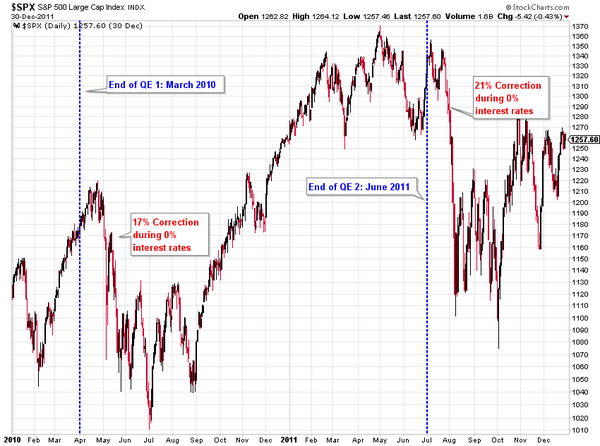 Significant correction will then take place. 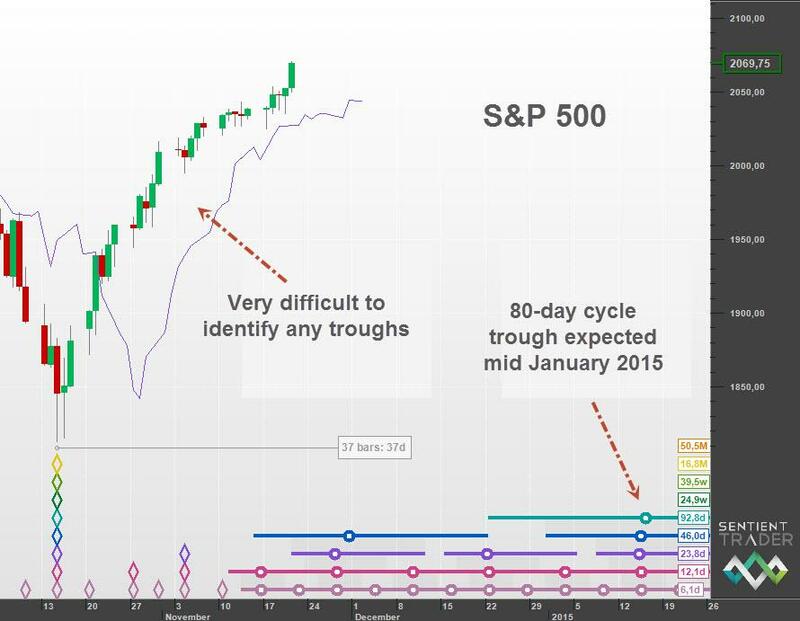 Jeff Saut has support at 1965 – 1970 for the SP 500. We bounced off that level today. Yesterday I counted a poor looking 5 steps up, so I went short again after the close with a stop above the high. My expectations were low. 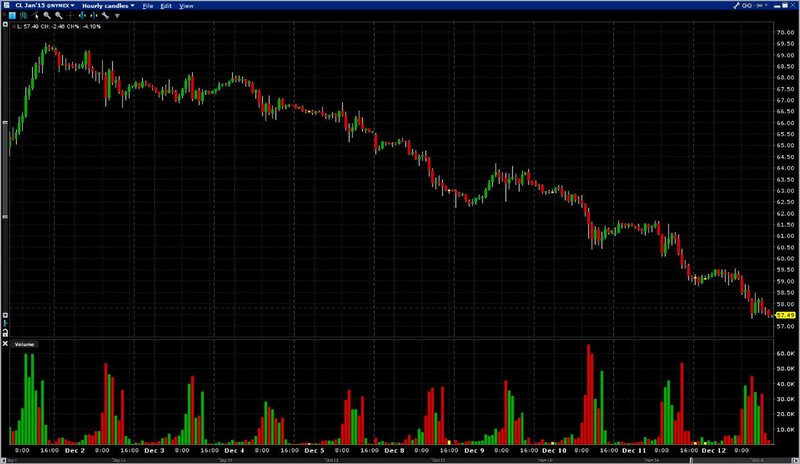 SP 500 futures have recovered 38% of the decline, while the NASDAQ futures have recovered 61% of the decline. Lotsa strength in the NASDAQ. We’re obviously breaking the downtrend that began last Friday. 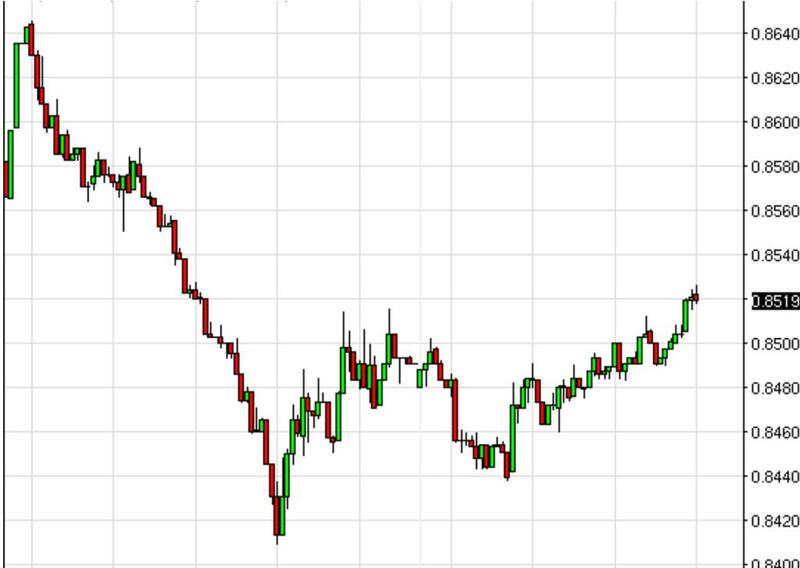 If we don’t make new highs, this decline becomes step 1 down (of 3 or 5). @focus1234567 I’ve been tending in that direction for a couple of years. 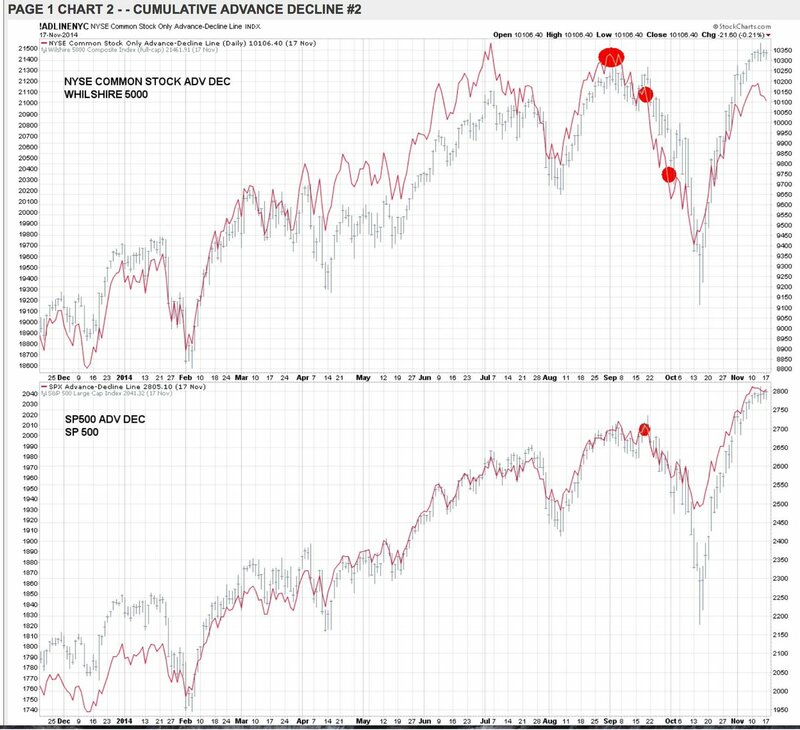 Jeff Saut says this bull market has years to run. @focus1234567 makes a man healthy wealthy and wise. You’re getting up and I haven’t gone to bed yet. @focus1234567 You ever sleep? Don’t say 2008, it scared the crap out of me the 1st time. But someday large 3rd step down will take place! 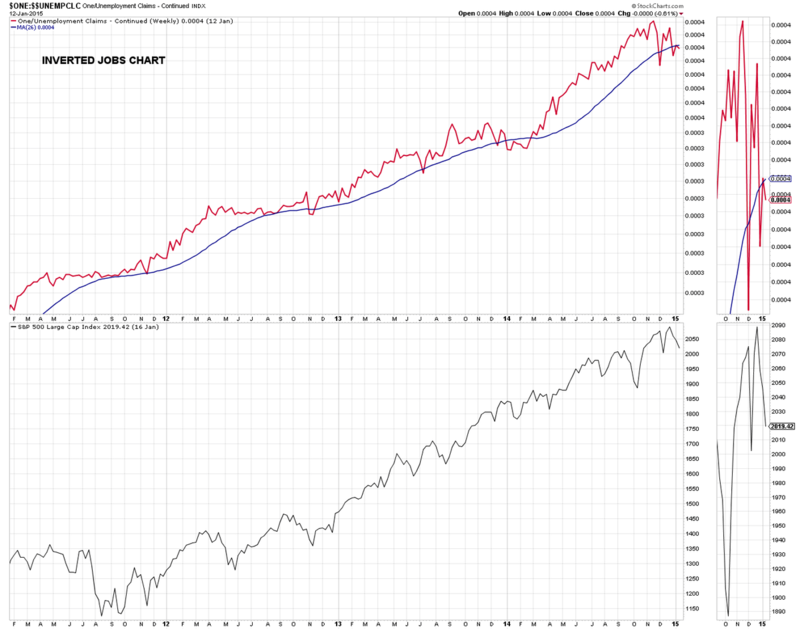 50 day moving average of the SP 500 is only about 5 points lower. Doesn’t mean much though. $65 oil in a couple of years??? I’ll post the chart tomorrow that shows the possibility. 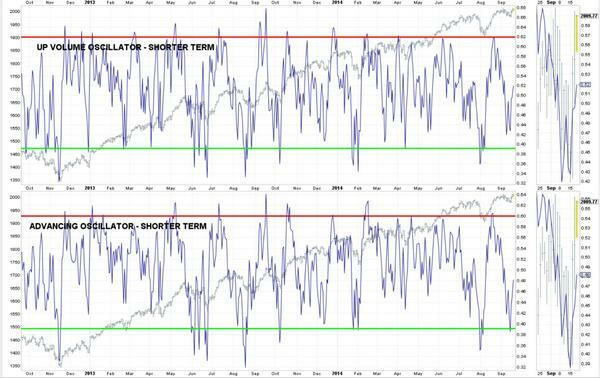 Shorter & longer term oscillators oversold. 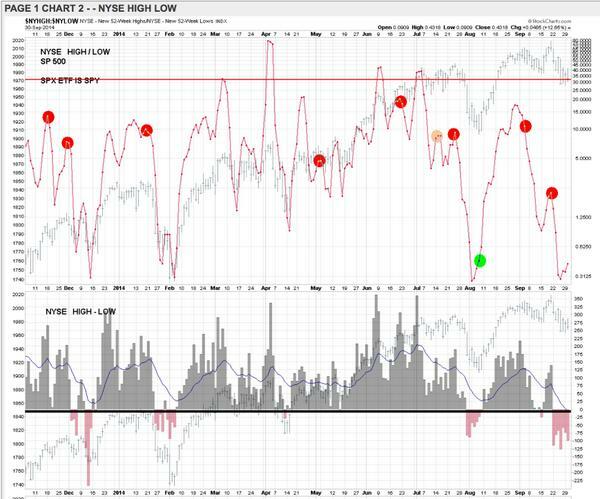 Only if in a serious decline would I expect the oscillators to go lower, otherwise rally soon. 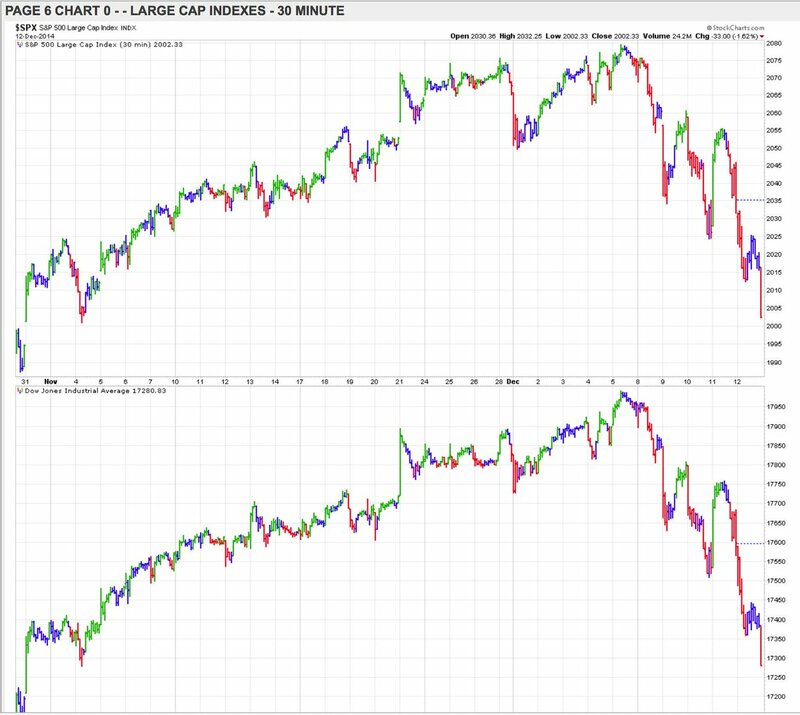 Large caps have no steps down & if an intermediate term decline has begun, 3 steps down are coming. This matches the prior chart’s count. 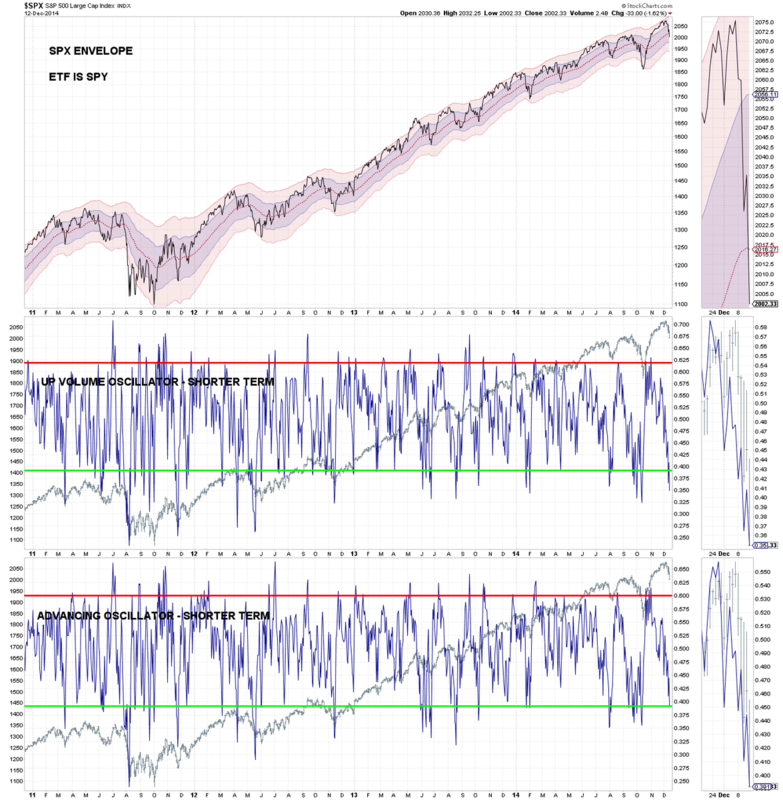 One of these days, the uptrend is going to end and stocks will slice right through oversold readings. 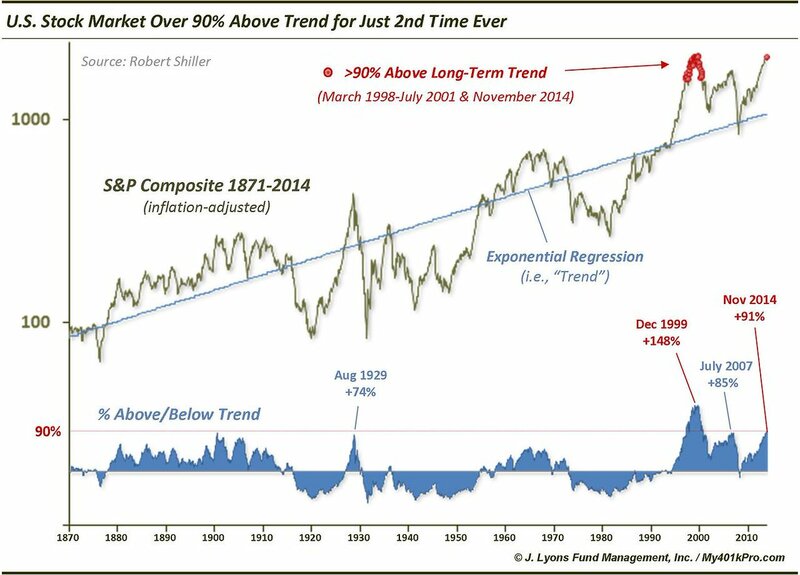 Until then, the trend is your friend. 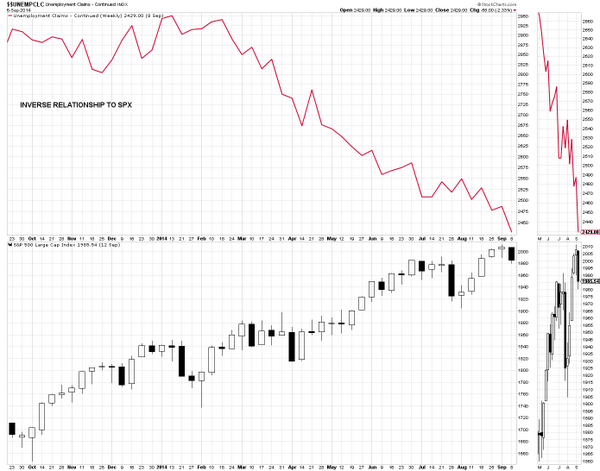 @focus1234567 I’m watching a small time frame decline (Fri to Tue), which could morph into a larger decline. If true, this is step 1 down. 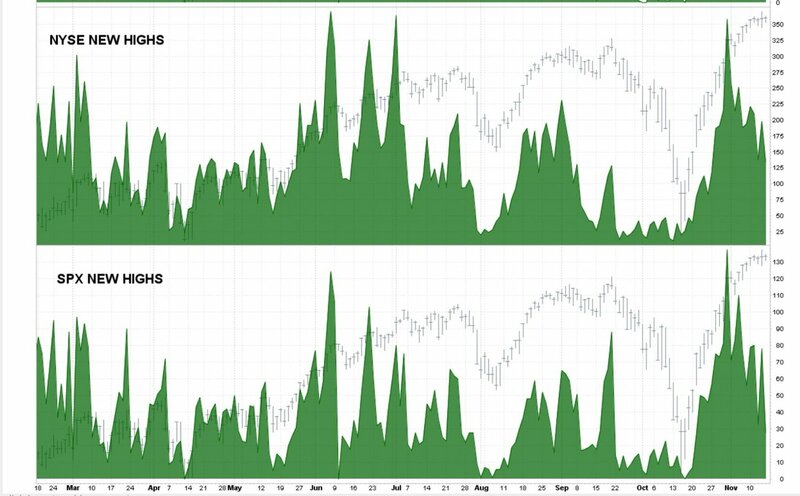 NASDAQ has rallied off of their lows, while DJIA and SP 500 are on their lows of the day. 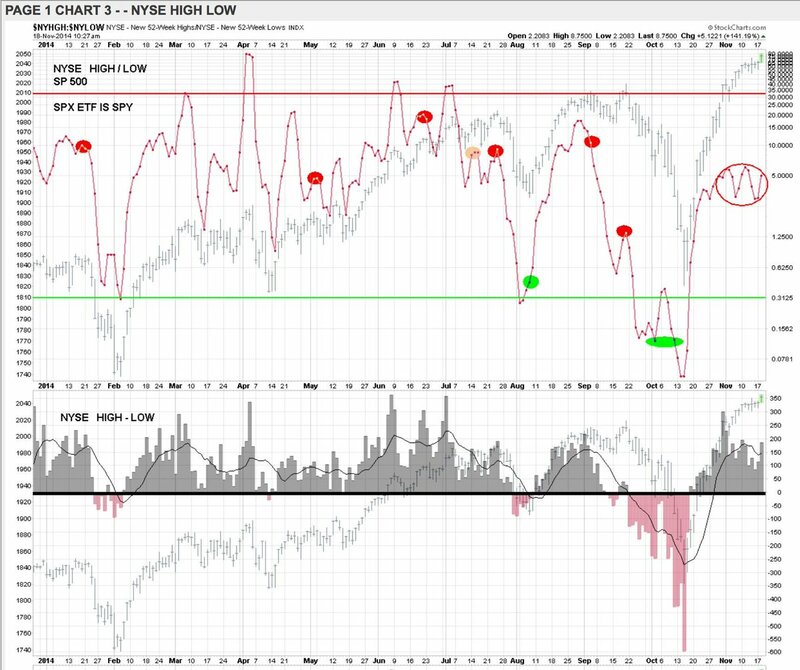 Market is breaking down and sub stepping into more steps down. I’ll update the count later in the day. 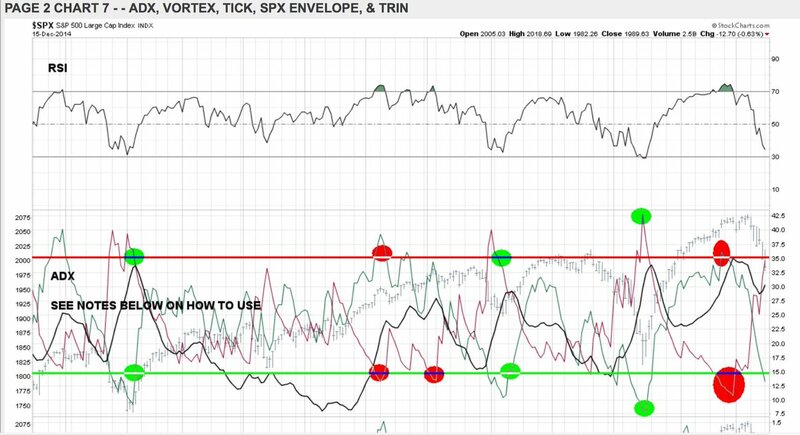 Market weakening and we may be sub stepping into 5 steps down instead of 3. Won’t know for sure until we make a lower low. We don’t have an end to the recent decline until we break the trend line for this decline. This hasn’t taken place yet. I count 3 steps down in the futures. If “true”, a rally should take place. If we are in a larger decline, this marks the end of step 1 down. 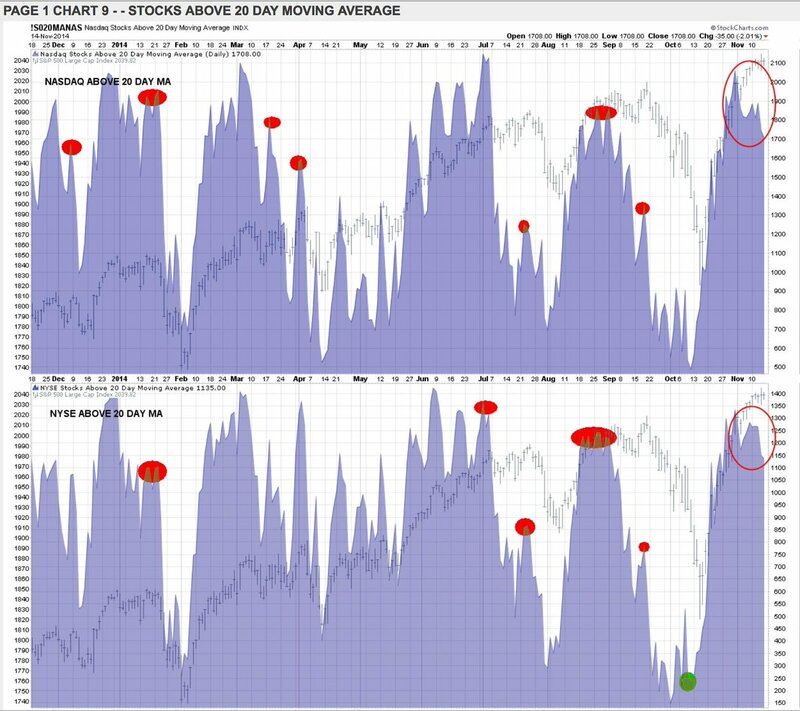 Percentage of today’s declining volume and declining stocks was about 85% each. 90% represents an extreme figure. Was last week’s breakout a bull trap?? We’ll find out if we break significant lows. If not a trap, we’ll see more upside before a reversal. Alibaba’s PE ratio is 60 (at $90). Google PE is 31, Amazon PE is 504, Netflix PE is 165. Is Alibaba in the same class as these stocks??? 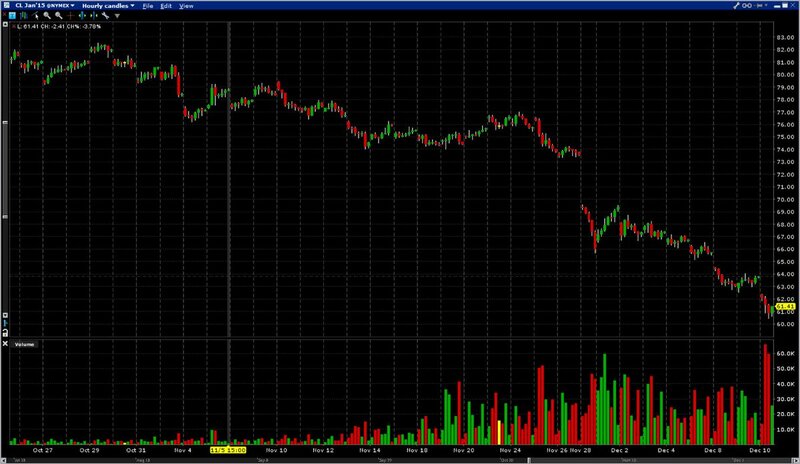 Alibaba IPO price was $68, reached $97 opening day & now trades at $90. Julian Robertson loves Alibaba. Remember when Google IPO was $85???? 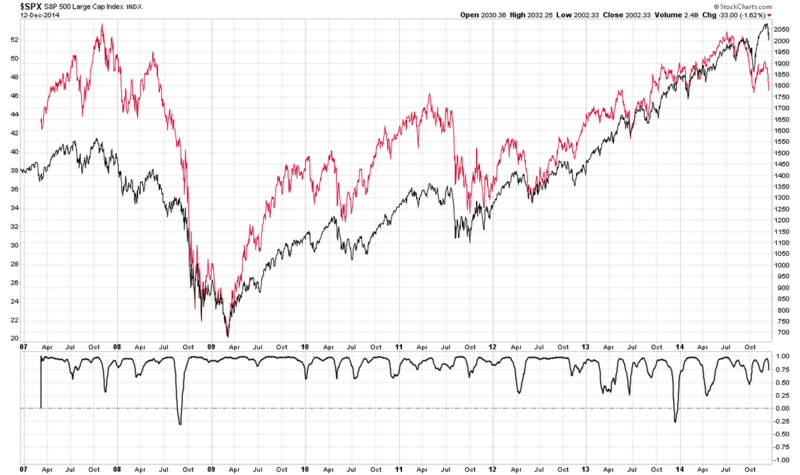 Breaking the trend since Oct 2011 is the big Kahuna, after that, a significant market correction can take place. When does that happen??? 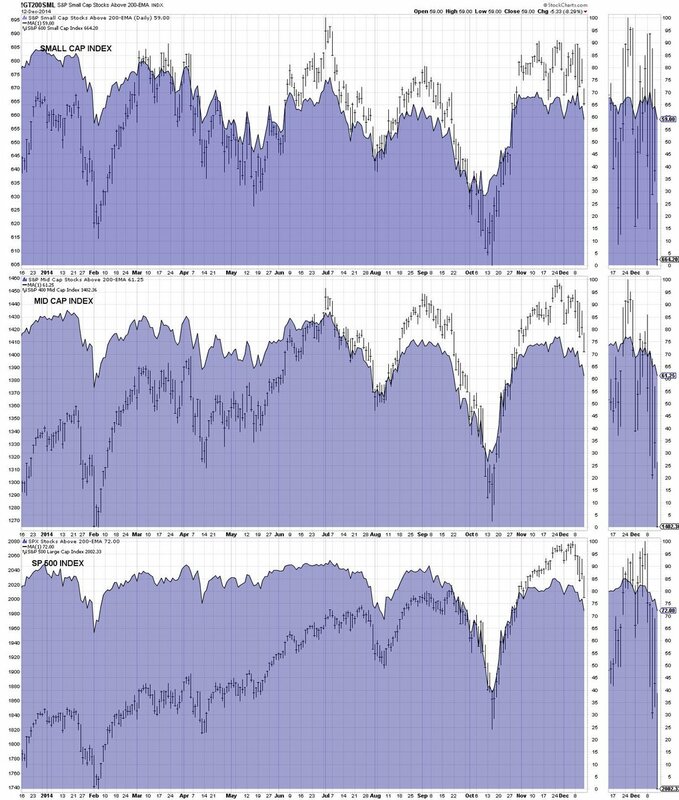 My Charts are showing that small & midcap stocks are performing poorly Seasonality suggests that they may outperform in Nov & Dec??? 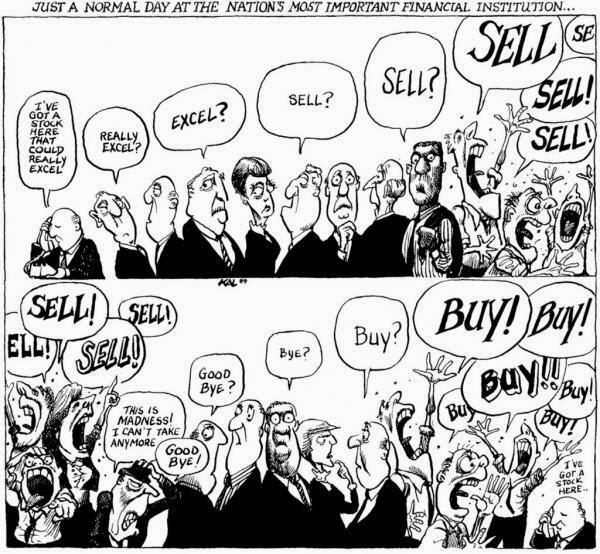 Today I’m seeing an outside day on many stock market indexes. 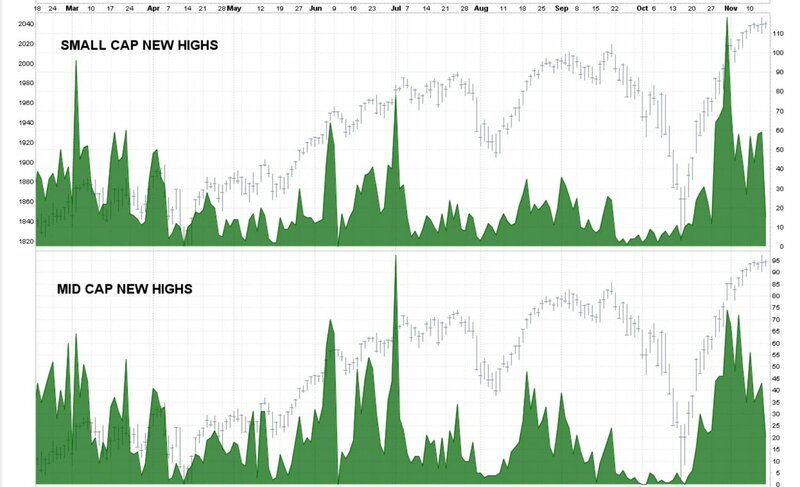 Some indexes had new intraday highs signifying – reversal day. Double Whammy!! NO wins in Scotland and that’s carrying over to Wall Street tonight. This is expiration week for Thursday & Friday. 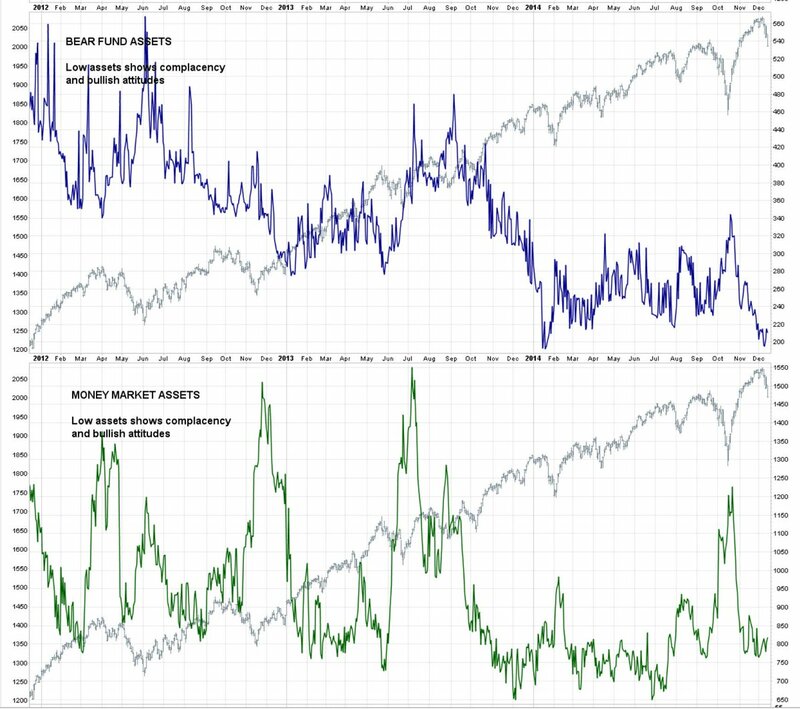 We don’t get the crazy volatility like in the old days, but some volatility is expected. 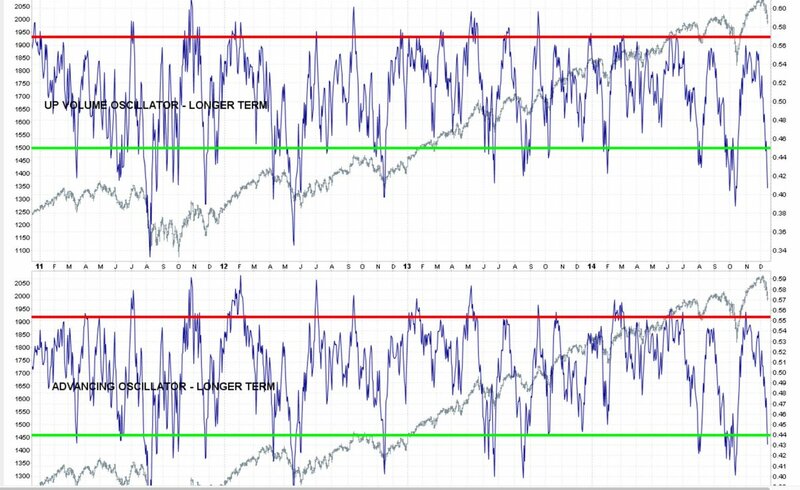 Usually, the first warning sign that a Bull market is losing upward momentum occurs when the % of stocks rising to a 52-Week High contracts. 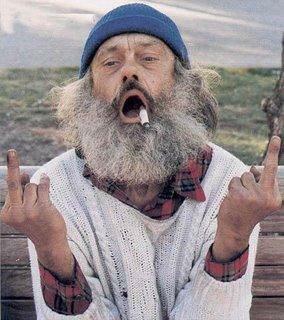 Tell your friends, neighbors, relatives, enemies, psychos and the homeless to become a FOLLOWER OF MY TWEETS. Men, it has been said, think in herds; it will be seen that they go mad in herds, while they only recover their senses slowly, & one by one.